Manoush Zomorodi is a podcast host, author, and relentless examiner of the modern human condition. 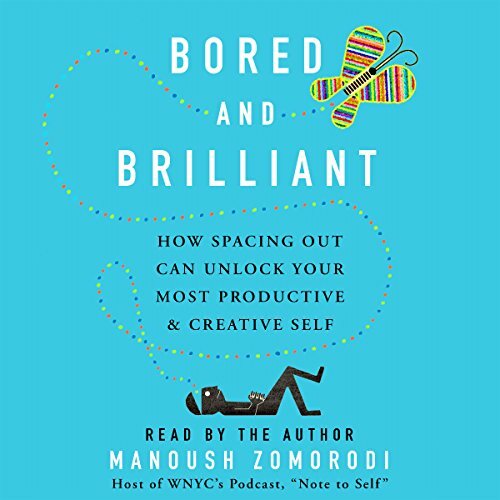 Her book, Bored and Brilliant: How Spacing Out Can Unlock Your Most Productive and Creative Self (St. Martin's Press; Sept 2017), is based on her 2015 interactive project with tens of thousands of listeners. It empowers the reader to transform their digital anxiety into self-knowledge, autonomy, and action. Note to Self was named 2017's Best Tech Podcast by the Academy of Podcasters. Manoush has won numerous awards for her work including four from the New York Press Club. In 2014, the Alliance for Women in Media named her Outstanding Host. In spare moments, Manoush tweets @manoushz and takes deep cleansing breaths.